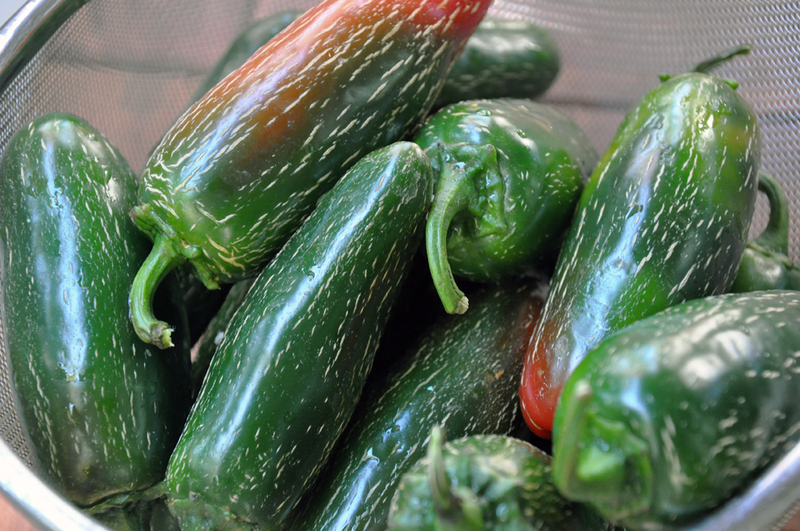 Big, beautiful jalapeños from the farmers market. 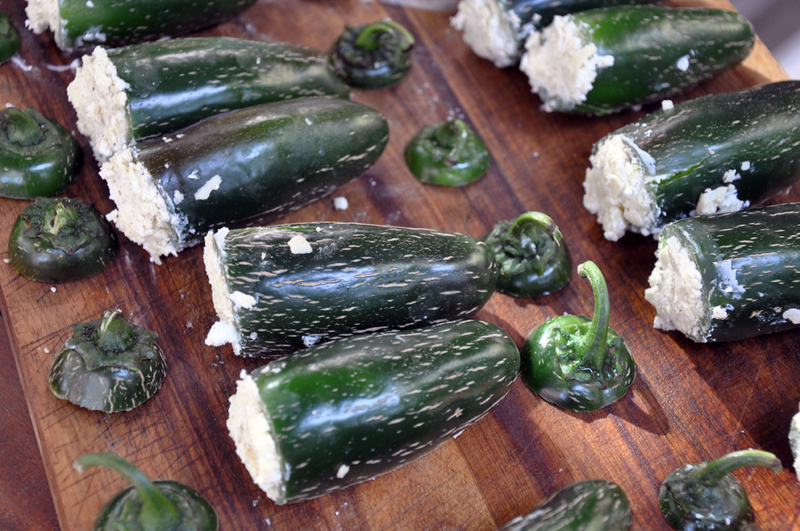 Gently scoop out the seeds and membranes by cutting off the tops, using a paring knife to cut around the inside of the pepper, and then scooping out the insides with the back of a spoon. A bit time-consuming, but worth it! Stuff the peppers gently so you don't break them. I used both a spoon and my hands to make sure the cheese went all the way down to the bottom. 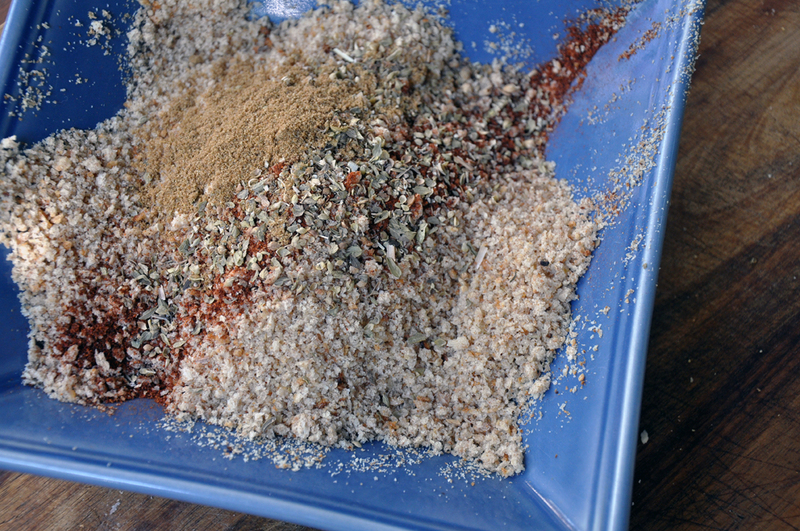 Mix the breadcrumbs with dried herbs and spices for an extra flavor boost. 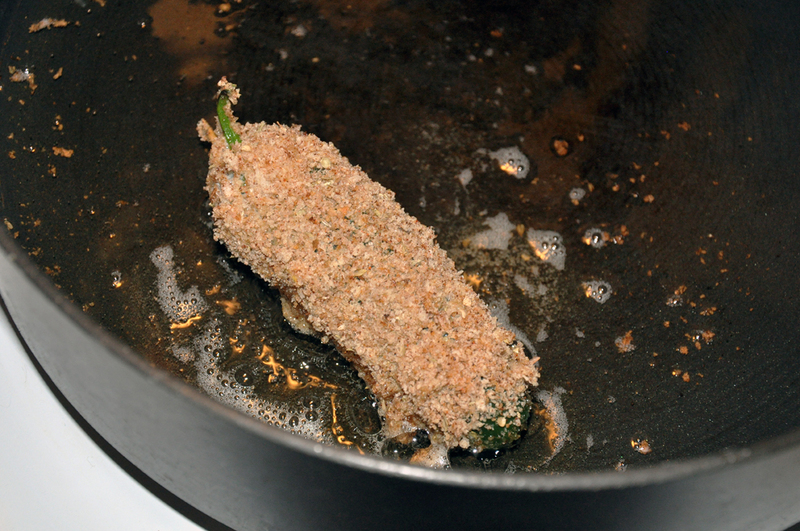 You don't need that much oil - just coat the bottom and turn the peppers often to brown on all sides. 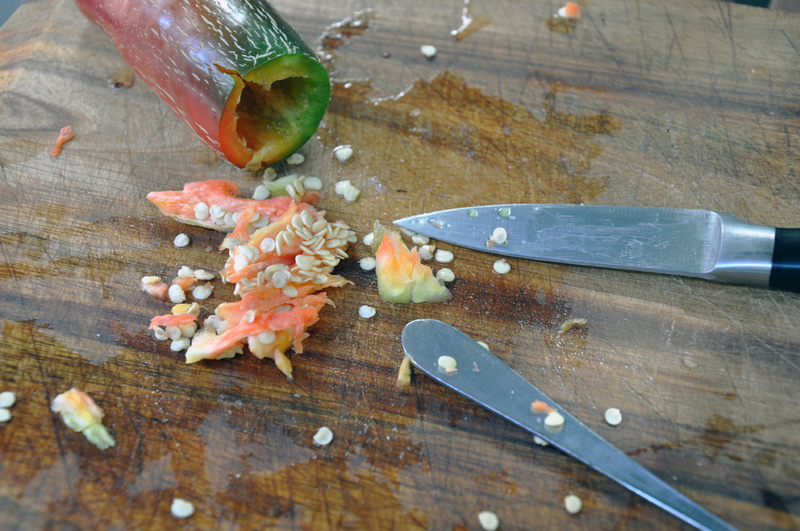 Cut the tops of the peppers off and carefully clean out seeds and ribs. Wash and drain so you get all the seeds out and the insides dry well. 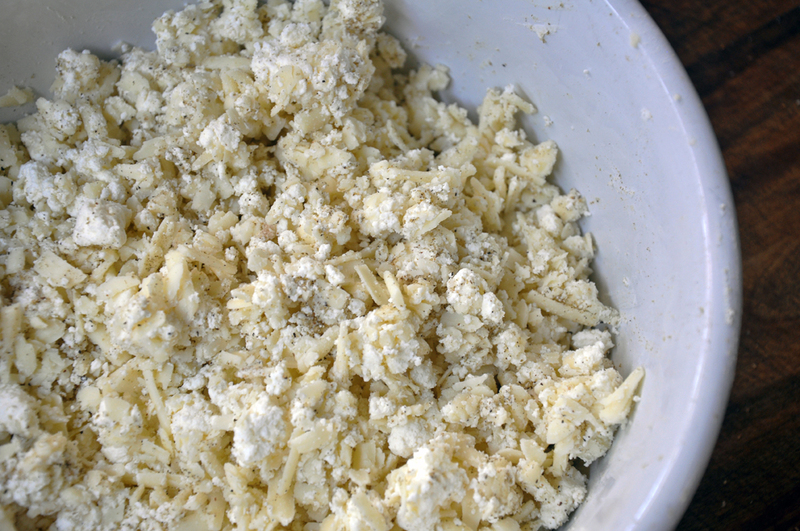 In a shallow bowl, mix together cheeses and adobo seasoning. In a second shallow bowl, mix together bread crumbs, oregano, chipotle and cumin. In a third, beat eggs together. 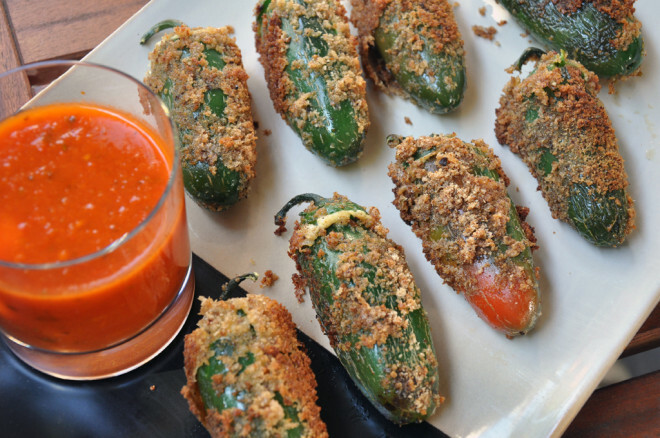 Stuff peppers with cheese mixture and affix the tops on with toothpicks. Heat oil in a large skillet over medium high heat. Then dip each popper into eggs then bread crumbs. Fry on all sides, about 3-4 minutes altogether. Remove to paper towel to drain. Serve warm.